Please enjoy this excerpt and conversation with the creators and the one and only Jim Dale! SPIN is on-sale Now! 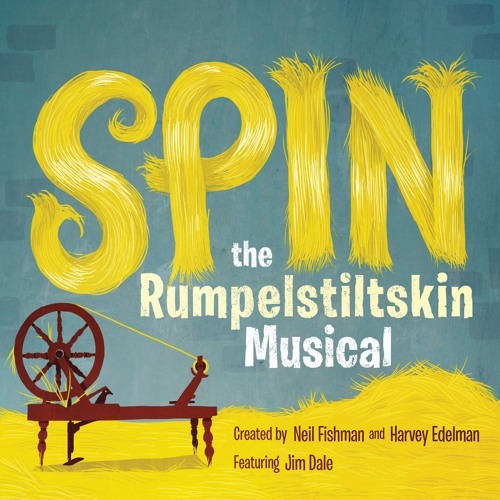 Buy it here: http://bit.ly/2jPgTOM About SPIN: The Rumpelstiltskin Musical SPIN - THE AUDIOBOOK MUSICAL: A witty musical re-imagining of Grimm’s fairy tale, Rumpelstiltskin, created by musical theatre veterans, narrated by Jim Dale, and featuring a cast of Broadway musical stars. The story takes place in a Nice Little Kingdom, and ignites when a foolish miller brags that his daughter, Jane, can spin straw into gold. Since she cannot perform such a miracle, Jane desperately enlists the powers of a magical being... Rumpelstiltskin… in exchange for a promise with dire consequences. A fun, fractured fairy tale for the entire family. Cast: Jim Dale, Barrett Leddy, Lisa Livesay, Nicola Barber, Khristine Hvam, Nick Sullivan, John Brady, Johnny Heller Produced by Hvam Audio and Sammy Smile Music; Music Composed, Orchestrated, and Produced by Neil Fishman; Book and Lyrics by Harvey Edelman; Adapted for the Audiobook by David B. Coe and Harvey Edelman; Directed by Khristine Hvam; Musical Direction by Neil Fishman; Recorded, Engineered and Mixed by Charles De Montebello at CDM Studios; Percussion Programming by Sam Fishman. Can't wait to get this. My kiddos will love it. More instructions on how to enter the contest? Excited about a musical of Rumpelstilskin!!! congrats to all of the awesome voice actors that bring these awesome stories alive for people like me and than also give us a chance to win one as well, thank you all so much for all you do. Congratulations to Ana Maria and the entire Harper Audio team on a stunning acheivement and for continuing to push the enevlope of what's possible in the audiobook format!! !